Billy Clark has been in the car business for over 35 years. After 5 years as Eskridge Chevrolet’s General Manager he semi-retired from the car business. 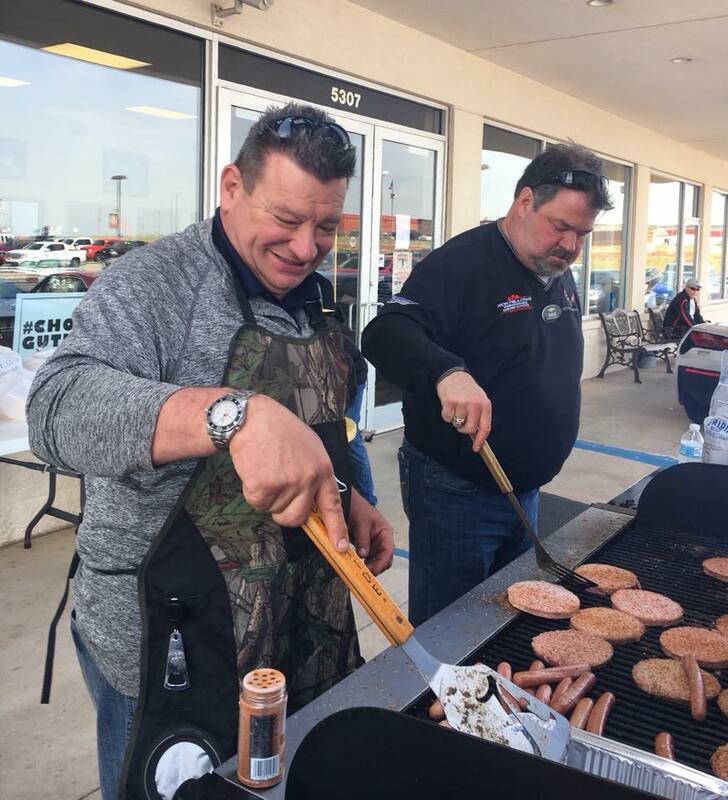 Under his leadership, Eskridge Chevrolet was named Guthrie’s Business of The Year in 2017. And, Billy was just named Guthrie’s Citizen of The Year for 2018. Fortunately, for his community, he’s really not retiring. He’s just freeing up time to do more of what he loves: invest in the people, causes and community he loves. Here’s a bit of his story and what he’s learned about making a difference. You’ve been in the car business for quite sometime haven’t you? My whole life really. I’ve been doing this for 35 years. You’re wrapping up your tenure in the business, transitioning out of the General Manager role at Eskridge Chevrolet. I am. It’s time. My 10 years at Eskridge have been amazing and rewarding. Well, a couple reasons. First, I work for an owner’s group, the Eskridge family, that truly cares about people—their customers and the communities they serve. Their values really align with mine. Second, I was able to be a part of a community that cares for one another. I really fell in love with Guthrie. I’m blessed. Sounds like the perfect fit, Billy. Why leave? Ha! It’s just time. I’ve been in this business for a long time. I’ve treated people right and that’s given me the opportunity to have options. So, the number one reason is, I’m ready to keep making a difference in different ways, apart from the day to day operations of the dealership. One more question about the dealership. Eskridge Chevrolet was Guthrie’s Business of the Year. How did that feel? Honestly, it was probably the highest honor I’ve had professionally. I just try to go about my business and do what I can the right way. I don’t do what I do for any sort of recognition or reward. But, I have to admit, when my peers in the community voted our dealership as Business of The Year, it felt amazing. Kind of like the culmination of my work. I teared up. Also, I like to think we raised the bar for community involvement. We’ve been able to do so much. It wasn’t always easy but we love it. I think we were out in front and that our involvement got other businesses to get involved too. Some days, I have no idea. I have the general stuff figured out but, the details are a bit foggy. I know I’m called to make a difference. So, that’s it. I’m transitioning out of the dealership to have more time to invest in the community. You were just named citizen of the year. How does that feel? I’m still shocked. Also, honored. It’s still sinking in. But, it was confirmation that the next steps I’m taking are the right ones. Billy, it is well deserved. After running the business named Business of The Year and then being recognized as Guthrie’s Citizen of The Year, what can you share with us about how you go about investing in your community, people and making a difference in general? Well. There’s no real formula for me. Just treat people the way you want to be treated. If you say you’re in, go 100%. I’m married to the right person. I’m really blessed to be married to Maggie. She loves to give and do even more than I do. She’s my inspiration. Don’t overthink stuff. Just do it, do what you can. Take action. Show up, give your time. Say yes. Relationships will make or break you. Align with the right people. Time is the hardest thing to give. But, the most rewarding. Keep your eyes open, look for ways to give. And do it, time, money, whatever you can. Billy, it’s exciting to think that you’re just getting started. We commend you for the impact you’ve made and look forward to your future. Thank you. Made Possible By is the new way community minded companies manage and share their grant, sponsorship and charitable gift requests. Made Possible By is reinventing the community investment process for companies with an easy to use, online toolset that saves them time and money and helps them earn community and customer trust. Learn more at our website or blog.